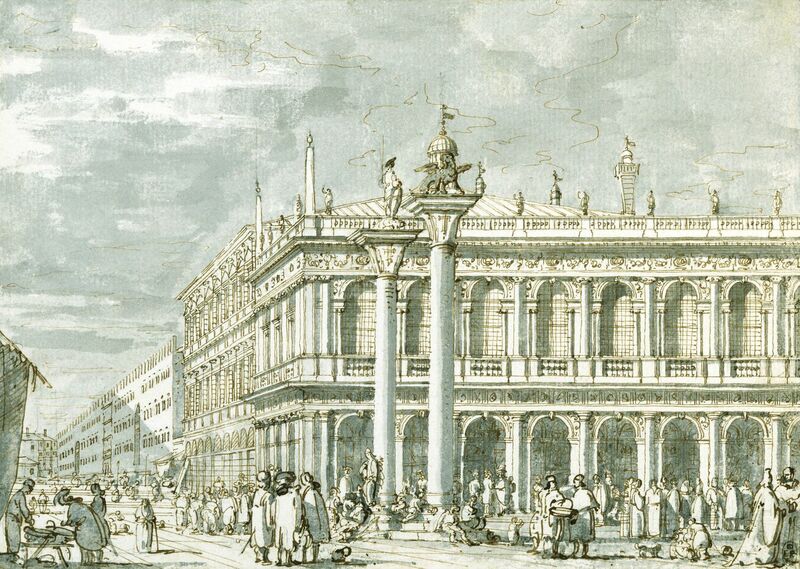 A drawing of the Libreria and the Molo in Venice. The Molo is the broad stone quay in front of the Palazzo Ducale and Libreria. The Libreria dominates the composition, but the two columns of San Teodoro and San Marco are depicted in front of the building. Receding beyond the Libreria, on the left are the Zecca, the Granai, and the Fontegheto della Farina. Many groups of figures are depicted. 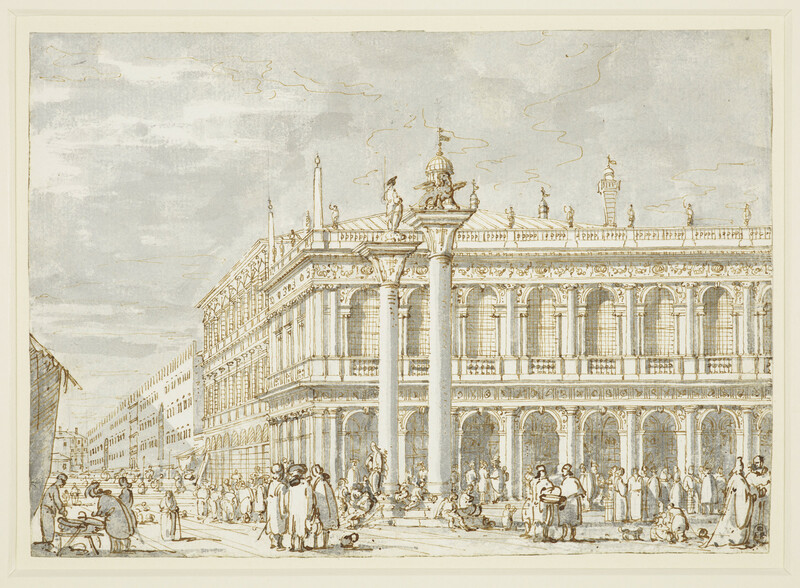 This drawing is very similar to RL 7439, which is executed in pen and ink.